In the interests of your ferret’s wellbeing as well as your sanity,it pays again and again to make a thorough review of your house. Ferrets are very active and extremely curious creatures. They are also particularly slender and agile. They are able to slip into the most improbable places. 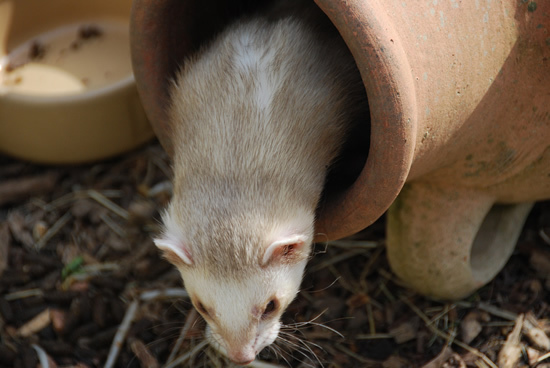 Reviewing your house inside and out for the many ways and means a ferret could possibly get into difficulty will certainly help save you and also it a great deal of trouble. To begin with, try to pretend that you’re an active, inquisitive ferret. Get right down on the ground and start looking at anything low enough or perhaps with openings big enough for you to consider. Be assured your ferret definitely will! Reclining chairs , sofas, beds as well as much more that is typical in and around homes are generally places a ferret will search for. However these areas can potentially transform a curious excursion into a fatal accident. 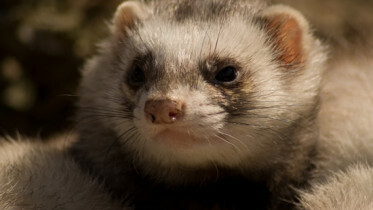 A ferret that ends up under an easy chair or perhaps a fold-down bed which is abruptly jerked open or shut can suffer severe injury or even death. It will require substantial resourcefulness to help keep them inaccessible. If you cannot, always be especially aware about exactly where your ferret is before you make any unexpected moves. Stairs are yet another likely hazard. Ferrets could easily use them to go up to the next floor and slip between the rails. Contrary to cats, that kind of fall will often end up being fatal. Child-proof the rails or perhaps install gates at any kind of entrance to help keep them away from the steps completely. Stoves or ovens, dryers, and even fridges can easily make for an intriguing new world for your ferret to check out. However, if they end up there without you knowing they may very well get injured. Regardless of whether you inadvertently switch on the machine, becoming trapped on the inside of a home appliance might be traumatic for ferret and people. Always keep everything low enough to be accessible out of bounds. As they are so curious even sealed cupboards can be a probable place to come across your ferret when you least anticipate it. If your cupboard is low, they are going to rollover and claw the bottom part of the door to open it. After that, in they go! Regrettably for the safety and wellbeing of your ferret, many of the things within those cupboards are hazardous. Always keep cleaning agents, sponges along with any other products out of reach by using a locking system of the kind well known to parents with children. Virtually any opening small enough to fit a head through is tempting to (and accessible by) a ferret. Remember that these were selectively bred to flush rabbits out of their holes. However they will make their very own holes too. Sharp teeth and claws signify the capability to get through a screen if they are determined. Give consideration to an add-on segment which makes the bottom portion of the screen impervious to your ferrets. The most crucial factor is just knowing exactly where your ferret is. However this can be more difficult than tracking a two-year child, but your peace of mind along with the wellbeing of your ferret count on it. 2 Comments on "Getting your House Ferret Ready"
Another tip is to ensure they do not destroy your carpet at its weakest points (the corners or joints leading to another room) try building a small “Speed bump.” I did this to keep them from clawing up the carpet leading to my tile bathroom where the carpet is often just held down normally, which they can easily pull up. Measure the width of the door, and go to your local lumber store (Home Depot/Lowe’s, etc) and buy a 4×4 measured and cut to the correct size (or cut it yourself). but this isn’t enough. Ferrets can overturn, push, or roll obstacles out of the way, so in order to keep them from moving the 4×4, nail 1/4rounds along the bottom edge and put short nails through the 1/4rounds facing down into the carpet, this will keep them from getting leverage and pushing it away from the spot you’re trying to keep them from clawing up. Ferrets will generally only mess in a corner, so using an Area-of-denial strategy works well. They will usually choose one or 2 places/corners to mess, and they will go back to those places first, so it’s important to make a litter pan for those places, like an old pizza box filled with litter that you also use in their cage. BE SURE to cut the edges off of 2 sides, otherwise even the edge of a 2″ box and a wall becomes another corner for them. You might have to weigh down a side or two, otherwise they will push it out of the way of the corner you are covering up. To increase the longevity of these corner litter boxes, use newspapers on top of the cardboard and under the litter, that way you just change out the newspaper and the litter and the box stays until used up, or until you order pizza again. If your furniture is close enough together, your ferret might try to risk a leap of faith to jump from one thing to another. This can be dangerous because they are not nimble jumpers like cats. To prevent this, you can grab a long tall cardboard box from a dumpster or when you buy new stuff and set it up so that they are blocked. Or make it a fun diversion by cutting a hole at their height (at mattress, height, for a bed-jumper) with a ramp leading back down to ground level inside it, now it’s a play pen and a safe way to get off the bed/furniture. I’ve found that stuffing an old blanket/comforter in a corner will keep them from crawling behind furniture or into corners created by furniture. The can’t drag it out and it becomes a place for them to play, not poop.